Digital transformation automates and streamlines business processes for scalability by deploying emerging technology to do things better, faster, and cheaper. Even incrementally adding digital technology – technology that previously was out of reach for most small to mid-sized companies – has an exponential effect on a company’s agility and flexibility. By applying digital technology throughout enterprise-wide operations – cloud, mobile, social, and analytical – corporations are able to evolve with customer expectations and remain competitive in the marketplace. Business process automation and business intelligence play a significant role in digital transformation by improving the corporation’s ability to adapt to changing market conditions. Unfortunately, Altimeter research has found a gap between the perception of digital prowess and the need to invest in it. For example, 40% of senior-level executives believe their firms have a digital culture, but only 27% of the employees surveyed agree. This disconnect is the thread that begins to unravel the real story behind why companies have difficulty moving at the speed of market evolution. In other words, it is difficult to lead digital transformation initiatives when there is little agreement about where to start. Myth #1: Digital transformation is merely a technology issue. Myth #2: Divisions should initiate their own digital transformation projects. Digital transformation is a holistic effort that needs to be strategized across the enterprise. Reinventing existing businesses is entrenched in complexities, as many companies continue to struggle with inflexible IT infrastructure, outmoded IT skillsets, and resource constraints. To avoid silos of information, corporations must empower knowledge workers to collaborate across the enterprise via applications like SharePoint, Microsoft Dynamics, and Salesforce, which move the corporate culture toward a more collaborative mindset able to respond more quickly and consistently to business fluctuations. Myth #3: Don’t fix what isn’t broken. Companies often believe that they have a successful customer-centric culture that delivers results and they don’t wish to jeopardize the progress they have made. The point they may be missing is that adding technology allows corporations to build upon their current customer-focused approach by adding process automation that makes it simpler to include more proactive activities like network building and joint partnerships. 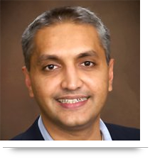 An IT solutions provider, AllianceTek helps companies implement customized business transformation strategies. AllianceTek employs a global team of more than 100 skilled developers and consultants who approach every project holistically, providing around-the-clock attention and comprehensive, scalable, and extensible development roadmaps. 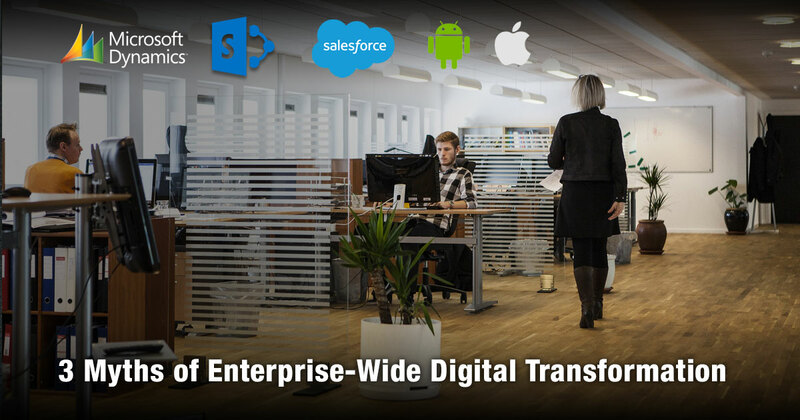 Call 484-892-5713 or Contact Us today to know more about, how digital transformation can help corporations do things better, faster, and cheaper is separating fact from fiction.